Back in the 1970s, it was common to hear of an arthritis patient who had undergone an arthroscopic debridement with joint lavage. Decades later, joint lavage isn't as common. As a matter of fact, joint lavage is not listed among the recommended treatments for knee osteoarthritis. In osteoarthritis, as cartilage breaks down, bits of tissue, cartilage debris and degradative enzymes may be left inside the joint. There may also be crystals in the joint or in the joint space. Joint lavage is a procedure that washes out loose tissue or debris from the joint space. Tidal irrigation joint lavage - uses one point of entry into the joint to inject fluid and draw fluid out. Non-arthroscopic joint lavage - uses two points of entry into the joint, one to inject fluid and the other to draw fluid out. No visual inspection of the joint occurs. Arthroscopic joint lavage - joint lavage with visual inspection of the joint (arthroscopy). During joint lavage, the joint is injected with a salt and water wash (i.e., saline), and joint fluid is drained out of the joint. The cycle of inject and drain may be repeated several times. Theoretically, ridding the joint of debris decreases inflammation and joint pain. But the effectiveness of joint lavage has been questioned and studied. According to a Cochrane review of seven clinical trials involving 567 patients, researchers determined that joint lavage does not produce a significant benefit for patients with knee osteoarthritis with regard to pain relief or improvement in joint function. Three of the seven trials involved arthroscopic joint lavage. Two of the studies involved non-arthroscopic joint lavage, and the remaining two were tidal irrigation. The findings of the Cochrane review contradict conclusions of a study that was published in Arthritis & Rheumatism in 1999. 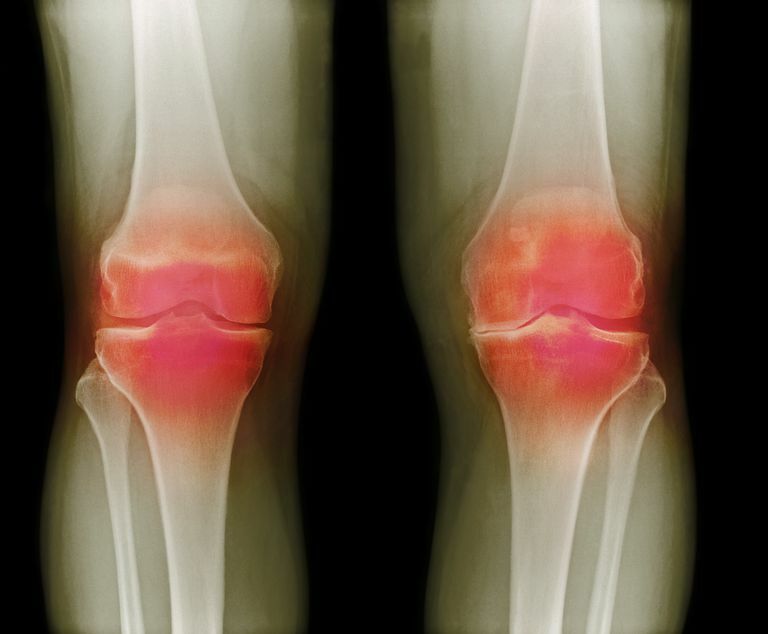 In this study, 98 patients with tibiofemoral knee osteoarthritis were enrolled in a 6-month study and randomly assigned one of four treatments: intraarticular placebo, intraarticular corticosteroids, joint lavage and intraarticular placebo, and joint lavage and intraarticular corticosteroids. Results showed that, compared to placebo, both intraarticular corticosteroids and joint lavage significantly relieved pain -- but neither improved function. The intraarticular corticosteroid provided short-term pain relief, while the benefits of joint lavage lasted up to 24 weeks. In 2008, the American Academy of Orthopaedic Surgeons (AAOS) published 22 recommendations for the treatment of symptomatic knee osteoarthritis. Arthroscopy with debridement or joint lavage was not recommended to treat symptomatic knee osteoarthritis. According to AAOS, there was no evidence of significant benefit. Yet another study, published in the Annals of Rheumatic Diseases in 2004, pointed out that not only may there be ​a lack of benefit associated with joint lavage, complications related to the procedure are possible. Pseudogout is a possible complication of arthroscopic lavage in patients with chondrocalcinosis. The risk of pseudogout in subjects with chondrocalcinosis, and/or crystals, before lavage was five times that of those without either risk factor. As with any injection, there is also a possibility of infection following joint lavage. Discuss all of your treatment options with your doctor. Together, weigh benefits and risks, and make an informed decision. Joint lavage for osteoarthritis of the knee. Reichenbach S. et al. Cochrane Database Systematic Review. 2010 May 12;(5):CD007320. Effects of joint lavage and steroid injection in patients with osteoarthritis of the knee: results of a multicenter, randomized, controlled trial. Ravaud P. Arthritis & Rheumatism 42(3): 475-82. 03/01/1999. Treatment of Osteoarthritis of the Knee (Nonarthroplasty). Richmond, John MD. Journal of the American Academy of Orthopaedic Surgeons 17(9): 591-600. September 2009. Is Chondrocalcinosis the Same as Gout or Osteoarthritis?